A goose-size bird of marshland and wet grassland, the Southern Screamer looks strangely proportioned, with its small head and big feet. 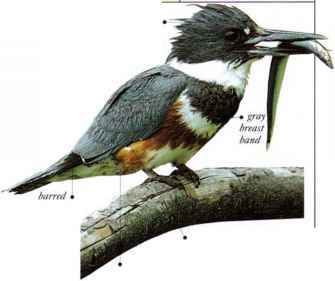 The small, hooked bill is used for feeding on leaves, buds, and other parts PLYING ADIJI.T of green plants. The large, broad wings carry bony spurs that project forward from the leading edge; these are used as weapons in fights with rival birds or predators. The Southern Screamer tlies strongly and circles and soars on rising air currents, sometimes attaining considerable heights. 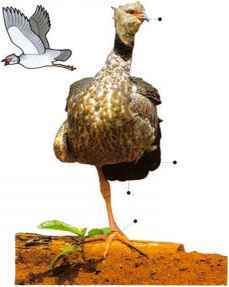 The species gets the name of "screamer" from its characteristic habit of uttering frequent, screaming calls, both during flight and also when walking on the ground. nkst A structure of sticks and reeds, placed on the ground near or in shallow water. From S. Brazil to C. Argentina.